Ryanair failed to avert its first ever pilots strike on Friday as pilots in Germany held a four-hour walkout although airports and the Irish budget carrier said there had been little impact on flights. Ryanair had sought to avert a series of threatened strikes across Europe over Christmas by giving up its long-held opposition to recognising unions. That convinced pilots in Ireland, Italy and Portugal to call off planned strikes. However, Germany's Vereinigung Cockpit (VC) union staged a brief walkout saying it did not believe Ryanair was serious about negotiating with unions. "This was a warning shot and we started small. However, there is potential for much more," union spokesman Markus Wahl said, ruling out further strikes until after Dec 26. The strike ran from 0401 GMT to 0759 GMT when only 16 flights were scheduled. Ryanair, which had urged pilots to work to get passengers home for Christmas, said 9 of its 36 early flights from Germany were delayed. There were no cancellations and it expected to operate all scheduled flights on Friday. 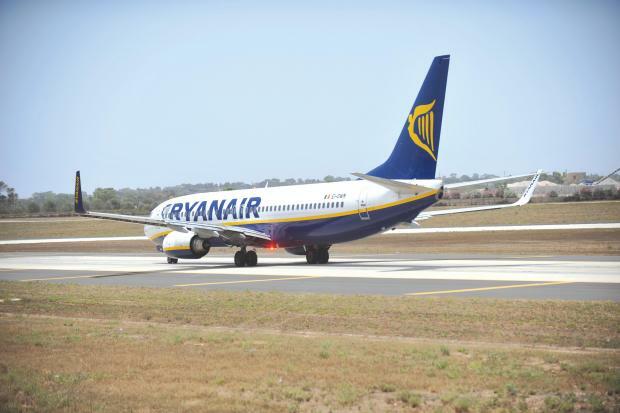 "We are grateful to all of our Ryanair pilots for putting our customers first and largely ignoring this VC strike," the airline said in a statement. A spokesman for Berlin airports said there were no significant effects, noting that five of seven early flights had departed, with one delayed. Cologne/Bonn airport said two of three scheduled flights had taken off and the third was delayed. Frankfurt airport said four of six scheduled flights had taken off. VC said Ryanair had refused to accept two members of a delegation that the union nominated to hold talks with management. One of the pilots was a contractor and one a direct employee, but Ryanair has ended both of their contracts, VC said. "This has shown us that nothing has changed with Ryanair's management style or how it handles workers' rights," VC president Ilja Schulz told reporters on Thursday. Ryanair pilots mobilised in September after the carrier announced the cancellation of around 20,000 flights, which it blamed on a rostering problem sparked by a change in Irish regulations. Chief executive Michael O'Leary told Reuters this week that his offer of union recognition was genuine but that employees must understand it will remain a low cost airline. Negotiations with unions will continue in the new year.